There’s money to be made in eCommerce, and not many know that better than the retailers powering online storefronts with Volusion. Over the past two decades, merchants have turned more than 185 million orders and upward of $26 billion on Volusion-hosted sites. With a mission to help businesses — from startups to large enterprises — build web presence, sell products and services, and grow audiences, Volusion offers a turnkey eCommerce platform from which to broadcast brands online. Since its inception, more than 180,000 entrepreneurs have leveraged Volusion’s services to widen revenue streams. If you’re looking to develop your niche in the eCommerce space, odds are good Volusion has a hosting package to meet the specific needs of your business vision. But, before signing up for services, be sure to take advantage of our reader-exclusive coupons linked below for discounts on getting started. Looking for Volusion coupons and promo codes that actually work? You're in the right place. See below for HostingAdvice.com reader-exclusive deals for every web hosting need. Simply click on the discount that interests you most to receive the sale pricing on the Volusion website. Need some help? Learn more about Volusion hosting with our expert hosting guide below. Does Volusion offer a free trial? Yes. Volusion offers a 14-day free trial. Prospective site owners simply need to provide their name, phone number, and email address to get up and running. There’s no credit card or monetary risk involved. Once the 14-day period expires, Volusion gives you the option to continue service on one of its paid eCommerce tiers or cancel your account. What types of payment does Volusion accept? Volusion only accepts major credit and debit cards for account payment. PayPal, checks, and other payment methods are not currently supported. Which Volusion hosting plan should I choose? Volusion offers four eCommerce hosting plans — Mini, Plus, Pro, and Premium — and which one you choose depends on the size of your online store and business mission. For beginning entrepreneurs and small- to medium-sized businesses, Volusion’s Mini and Plus plans provide ideal launching pads to build an online presence. Both plans allow the construction of large product pages, ample bandwidth to handle growing audiences, and secure, PCI-compliant checkouts. For quickly scaling online retail operations and enterprise-level merchants, Volusion’s Pro and Premium packages offer top-notch eCommerce solutions. With room to house thousands of products, heavy-GB bandwidth, secure checkouts, hands-on support services, and expanded access to marketing tools, these plans are sure to boost conversion rates and give site owners big returns on investments. If you’re still unsure of which plan is right for your business, Volusion’s eCommerce advisers are available 24/7 to field questions and steer you in the right direction. These representatives can be reached via phone at 800-646-3517 or by chat on Volusion’s website. What billing plans does Volusion offer? Volusion offers both monthly and annual billing depending on the type of plan selected. Most eCommerce packages are set up around monthly billing cycles because of Volusion’s bandwidth policy. Instead of charging fees for individual transactions, Volusion bases its plan pricing on bandwidth. If customers exceed the bandwidth allocated for their plan each month, Volusion will charge a nominal fee for each gigabyte of overage. If site owners find that moving to an upgraded tier of service is more economical, they can easily make the change in their account admin panel. The first step in setting up your online storefront with Volusion is purchasing a domain name. Volusion currently doesn’t offer domain registry services; however, once you’ve purchased a web address from a registrar, the host makes it simple to associate the name with your hosting account. There is a step-by-step guide in Volusion’s knowledgebase to walk you through the process, but most site owners can do so by simply following the prompts within the account admin portal. When registering your domain, it is always good practice to enroll in WHOIS privacy protection. Once a domain is purchased, site owners’ personal information can appear in the public WHOIS directory, which is a haven for spammers and those with malicious intent seeking to grab your data for their own benefit. Most domain registrars offer WHOIS protection for just a few dollars per year. This safeguard will replace your data in the directory with the contact information of a forwarding service to ensure your name, email, telephone number, and physical address are not available to prying eyes. What is an uptime guarantee and does Volusion offer one? An uptime guarantee is a pact a host enters into with site owners that promises their sites will be up and running a certain percentage of time each month. Most hosts in the industry guarantee at least 99.9% uptime rates, and Volusion comes right in at this average. The host is able to deliver this guarantee because it constantly monitors its servers and the bandwidth sites are using to ensure everything’s running smoothly. In the event Volusion is unable to meet this guarantee, the company will refund users 5% of their monthly fee for every 30 minutes of downtime. Will Volusion help me upgrade to a VPS or dedicated server when I’m ready? Volusion doesn’t currently offer VPS or dedicated server hosting packages. However, the company’s eCommerce platform works differently than basic shared web hosting plans offered by other hosts. Volusion employs a content delivery network (CDN) to power its customers’ sites. A CDN is a web of servers spread across multiple locations that enables movement of a site’s resources closer to the devices of web users. This facilitates high availability and faster page load times — not quite the level of performance of a VPS or a dedicated server, but it provides ample speed and reliability for most businesses. Do I need a promo code to get discounted pricing on Volusion plans? Nope. You don’t need promo codes to get discounted rates on Volusion’s eCommerce packages. Simply click the linked coupons above, and you’ll be directed to our reader-exclusive deals that will get you started with Volusion. Does Volusion offer a money-back guarantee? No. Volusion doesn’t offer a money-back guarantee or a warranty on hosting. According to its terms of service, all sales are final and no refunds will be issued. However, since Volusion offers a 14-day free trial, requests for refunds should be rare, as users have an opportunity to test drive services before incurring fees. How does Volusion pricing compare with that of other hosts? 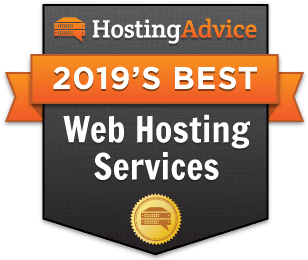 When compared with the basic shared web hosting plans offered by hosts around the industry, Volusion’s entry-level eCommerce package might leave some with sticker shock. But, when looking at the plan’s features, site owners essentially get a turnkey eCommerce platform that can be up and running immediately. There’s no need to go elsewhere and spend money on plugins and marketing tools — they’re all included with the price of admission. As a result, when it comes to pricing, Volusion fares well in the face of competition. And, if you leverage one of our reader-exclusive coupons linked above, Volusion’s eCommerce plans become even more economical.